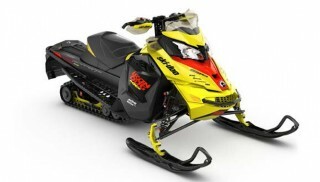 BRP has unveiled its new Ski-Doo MXZ Iron Dog Special snowmobile, inspired by and named after the iconic event. According to BRP, the MXZ Iron Dog Special sled was designed for rough trail enthusiasts and features many characteristics used on Iron Dog champion machines, along with a distinctive color and graphics scheme. The sled is built around a 128-inch track and rMotion suspension. This is the first time the configuration has been available to consumers. 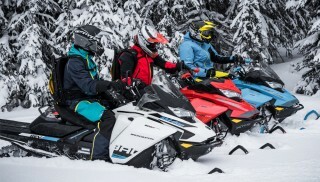 BRP boasts the sled’s added length increases traction for acceleration and braking, yet maintains the MXZ sled’s cornering and bump absorption abilities. The MXZ Iron Dog Special is available with both the Rotax 800R and 600 H.O. E-TEC engine choices and includes several race-specific chassis reinforcements and race-type suspension. The Ski-Doo MXZ Iron Dog Special sled is available at select dealers across North America. Production is limited on this unit and it will only be available this winter.